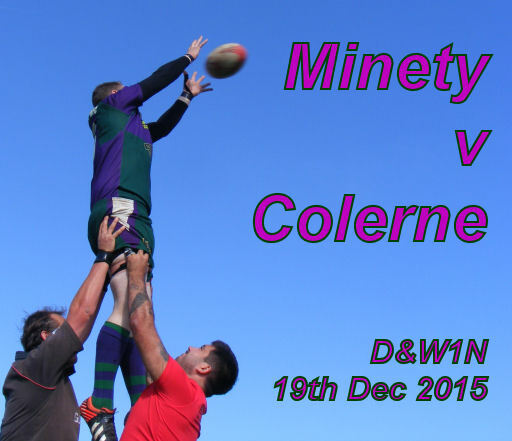 Minety 1st XV maintained their winning run, stretching back to October, with a win over Dorset & Wilts Division 1 strugglers Colerne at Minety Fields on Saturday. Playing downhill in the first half, the home team took just three minutes to register their first score, when centre Dave Church hammered through the Colerne defence to score near the posts. Scrum half, Garin Garland converted to put the home side up 7-0. In the 11th minute a flowing move saw winger Ben Langridge scoring near the corner flag, and when flanker Stephen Brown scored Minety’s third try in the 14th minute the home side were 17 points up and flying. The bonus point winning fourth try was scored in the 25th minute by second row forward Tom Windle, with Garland converting from in front of the posts. 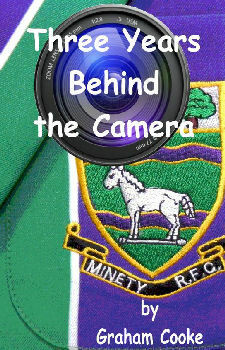 Two more first half tries by Garland, both of which he converted, saw Minety turn around at half time with a 38-0 advantage. The second half was in direct contrast to the first. Overly anxious to play the expansive rugby that has seen them race up to second place in the league, Minety wasted possession with a series of dropped passes and floundered in the dreadful conditions as the waterlogged pitch cut up badly. It was no surprise when Colerne scored their only try of the match in the 74th minute. Coach Andy Ward rang the changes late on and Matt Roberts, a late second half substitute, was able to break through and score under the posts in the final minute, with Garland converting to end the match 43-7 for the home side, consolidating their second placed position in the league. Weather: Dull and overcast. Very heavy conditions.